It’s obviously no secret that 3D printing continues its march on dominating the world of 3D physical realization. In the past year I’ve personally seen 3D printers at Office Depot, UPS, FedEx, and Staples where you can bring in an STL file on a USB drive and, theoretically, come back in a few minutes or hours with a 3D product of your creation. From what I’ve seen, I haven’t exactly been overly impressed with the results. Between under-trained store staffs, limited choices of processes and materials, and just plain bad designs, the end product and process still leave a lot to be desired. In other words, it’s a hit or miss proposition, and probably more of the latter. Honestly, if you’re serious about the result, take your design to a 3D printing service bureau with more process and material options, not to mention a professional, experienced staff who understands those important issues, but good design practices, as well. 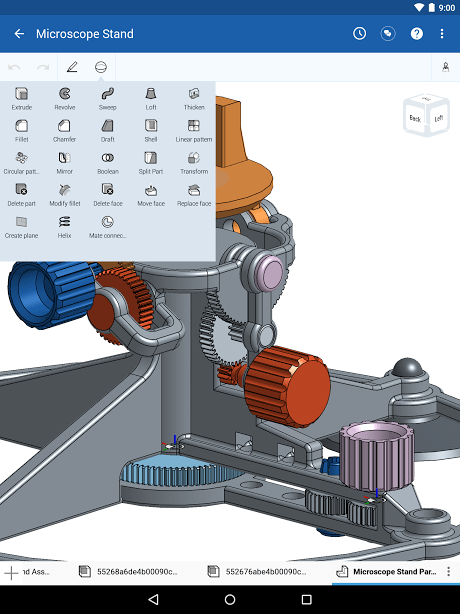 With multitasking an increasing fact of life for us all, it’s no surprise that machine tools continue to evolve into increasingly multifunction machine platforms, as well. Let’s be honest, though, multifunction machines are not exactly new. 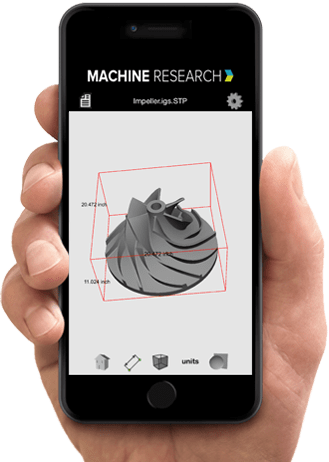 For example, machines with processes that work together providing several functions, such as milling, turning, drilling, tapping, measurement, and EDM have been around for a number of years as requirements have changed. I’ve also seen a number of interesting things on the exhibit floors at manufacturing trade shows, such as RAPID and IMTS, that employ traditional multifunctional capabilities, but have been most intrigued by a new emerging class of hybrid 3D printers that employ both additive manufacturing (AM) and subtractive (conventional machining) methods. Some of these innovative hybrid machines follow. Today, 3D printing is relatively well established, with an ever-increasing selection of printers available, ranging from low-cost personal/desktop 3D units for home to the larger and much more capable industrial-strength printers. The technology itself has also evolved and is now being implemented in a wide range of industries from automotive to aerospace, construction, health, food, and many others. By now most of us are familiar with 3D, but for the past couple of years there has been increasing chatter about 4D printing. So what is 4D printing? A couple of years ago 4D-printing was introduced at a TED Conference in 2013 by Skylar Tibbits, director of MIT’s Self-Assembly Lab. He described 4D printed objects as 3D-printed objects that reshape themselves or self-assemble over time, depending on the environment they’re in. In other words, the 4th dimension is time and/or environmental conditions. Tibbits is said to be working with GEOSyntec to design 4D printed water pipes. As the scale and reach of the technology increases, applications in the military (no surprise here) and construction industries are likely to materialize. Shapeshifting: 3D printed materials that change shape over time. Dr Dan Raviv, postdoctoral fellow at MIT, believes that 4D printing may be used in a wide range of applications such as home appliances, childcare products, or even clothes and footwear that optimize their form and function by reacting to changes in the environment. New York’s Museum of Modern Art (MoMA) recently acquired a 4D-printed dress which designers were able to print using a powder-based nylon material, and made the dress out of thousands of interlocking pieces. The pace at which 3D printing has evolved in various industries is impressive, but the technology is still too slow for mass manufacturing, and precision and repeatability must still improve for fabrication of structural components. The power to offer customized products that are manufactured closer to their point of consumption certainly makes the technology appealing to both providers and consumers. It’s a growing market, but there’s still a lot work to be done – particularly around process speed, product size, and the variety of materials that can be used with the technology. In the near future, 4D printing could be used in space. For example, an improved 3D printing process using materials that could self-assemble (the next topic below) was used to fabricate components on-site and on-demand for astronauts during a space mission. A recent study reported in The Conversation has shown that high frequency vibrations can cause bricks to self-assemble into a larger 3D object, a finding that may one day help reduce the need for factory assembly lines. The findings, published recently in the journal, Scientific Reports, signal a key advancement in programmable self-assembly, which was previously thought to only be possible using one-dimensional or two-dimensional objects. 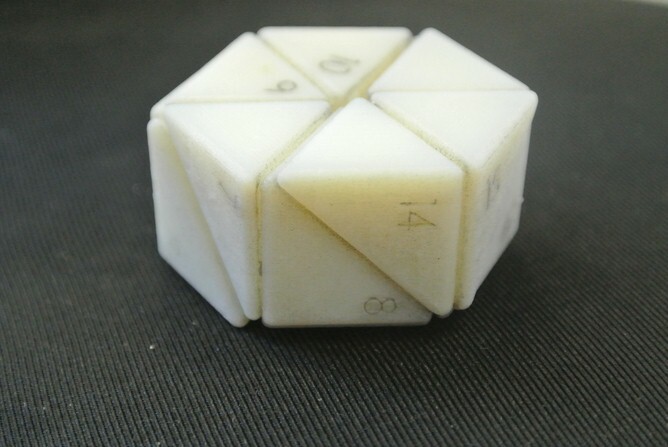 The research team, led by Dr Ido Bachelet from the Institute for Nanotechnology and Advanced Materials at Bar-Ilan University in Israel, used an algorithm from the Computational Geometry Algorithm Library (CGAL) as part of a design that allowed 18 tetrahedral bricks to self-assemble into a larger 3D cylinder. The following video shows blocks in the self-assembly process. Two sets of the object (36 bricks) were inserted in the chamber and after 2.5 hours in a constant speed of 320 rpm one set was assembled. The video doesn’t contain the whole, but portions of it. “Assembly rules are encoded by topographic cues imprinted on brick faces while attraction between bricks is provided by embedded magnets,” the researchers said in their paper. “The bricks can then be mixed in a container and agitated, leading to properly assembled objects at high yields and zero errors. The ability for life to self-assemble is something that continues to puzzle scientists. For example, proteins, viruses, living cells and multi-cellular organisms are all examples of systems in which parts are bonded to each other through attraction to form a structure or pattern. The next step in developing this concept for construction and manufacturing industries is to use both magnetic forces and adhesives to ensure the assembly stays in place. This self-assembly effort is not entirely unique, as the Self-Assembly Lab is collaborating with Autodesk and Stratasys for 4D printing. So, there you have it: 4D printing and self-assembly. There is certainly a long way to go to commercial viability, but these demonstrations point the way to some fascinating possibilities. Boeing has had a patent approved for an aircraft engine that employs laser-generated nuclear fusion as a power source, according to a recent story in Business Insider. The controversial idea is generating some attention from organizations, such as Counter Punch. The patent has generated fears (founded and unfounded) of what could happen if an aircraft containing radioactive fuel were to crash, spreading the fuel across the crash site. All in all, though, an understandable concern. The engine works by laser beams focused on a series of deuterium or tritium (radioactive isotopes of hydrogen). The result is a miniature nuclear explosion that “sprays” hydrogen and/or helium through a nozzle, thus creating massive amounts of thrust. The explosions also create neutrons that bombard an inner wall of the combustion chamber coated with Uranium 238, creating heat that is harnessed by coolant on the other side of the inner wall that runs a turbine and a generator that powers the lasers. This bombardment of the Uranium 238 has an unfortunate side effect of transforming part of it into Uranium 239, a fissile material. This idea is really nothing new, and is actually derived from an old idea to create a laser-generated fusion rocket for providing relatively quick flights to destinations throughout our solar system, and possibly interstellar voyages. That concept is based on an even older idea called Orion (not to be confused with the NASA spaceship being developed), that would have used the force generated by “small” nuclear bomb explosions to propel spacecraft. Again, the concept is currently still in the patent stage, and is a long way from becoming a real design, much less a prototype. Realistically, considering the real danger of using fissile material as fuel, it is highly doubtful that it will ever be used as an aircraft engine. However, the idea has real merit for propelling spacecraft. These possibilities are especially interesting, given the recently renewed interest in deep space exploration.